Crystalaid Manufacture have announced the acquisition of Die and Wire Bonding technology to extend their service offering in another first for Australian electronics contract manufacturing. 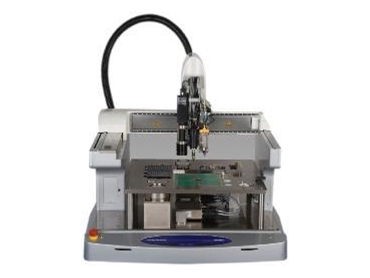 The equipment, due to be commissioned in June this year, will provide manufacturing capabilities covering a complete range of Die and Wire Bonding applications including eutectic die attachment, Chip-On-Board (COB), Chip-On-Chip and Flip Chip Assembly. According to Gerald Parker, Business Manager, Crystalaid Manufacture, currently Australian organisations outsourcing electronics manufacturing have to send components requiring Die and Wire Bonding services overseas. The introduction of this technology at Crystalaid Manufacture will result in cost savings and will reduce manufacturing timeframes and enhance product viability. Die and Wire Bonding technologies provide a leading edge solution. In particular, the applications are fundamental to the manufacture of microelectronic components. Wire bonds utilise gold or aluminium wire, between 15µm to 75µm in diameter, to connect the semiconductor directly to a PCB or ceramic substrate thereby eliminating the need for conventional packaging. The technology complements a full range of PCB assembly processes available to the Australian electronics industry and sustains the world class manufacturing capabilities.